Killer Instinct (KI) and the Xbox One console hits stores in North America on Nov. 22. Perhaps no one is more excited for the game's release than Maximilian. FilthieRich joins Max to discuss how Orchid plays in the new KI title. 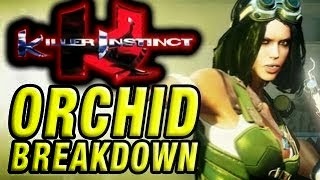 Below are parts one and two of the Orchid breakdown.